The most impressive advantage of Microsoft‘s “Windows Genuine Advantage” is, it gonna place a nice tray on your system’s downright task bar, and say “you may be a victim of software counterfeiting….” politely in pop-up, if you don’t care about the copyrights which Uncle Bill Gates’ struggling with. For more to WGA, you’ll get to experience its white-elephant support system, and a scum of unstable beta vision products, or some fancy only special offers. The latest stuff is a funky mini scorceboard software for the Cup. You could catch it here if your uncle permits. No idea about upcoming extraordinary sports festival since you’ve been evolved to human? That’s no excuse unless you couldn’t read yet. Actually i can not read any Deutsch words except “Deutsch”, but i’m ready to the Edward-in-Deutschland. And the Cup this year’s another spot besides every team’s excellent technique is the technology of High-Definition Television Live since 2002’s. 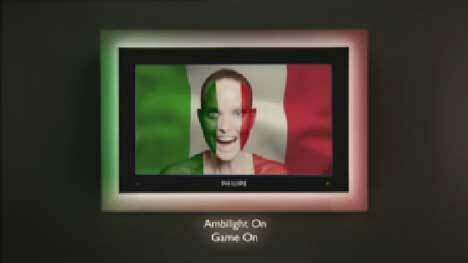 Thru the non-stop commercials, you’ll find, Netherland’s HDTV set maker PHILIPS had already focused on the event. And we audience could simply enjoy the perfect pictures on ABC HD, ESPN HD, etc, from which you even may see David Beckham’s eyewinkers someway. Don’t believe it? Why not try?